Located in Delhi(India), the company has carved a niche for itself in the market with its flawless range. This is due to our modern logistic facilities that we are able to meet the delivery deadlines with ease. 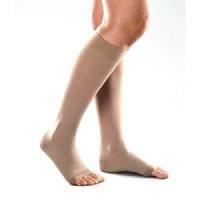 Our knee high compression stockings are available in various sizes ranging from S to XXXL. Supra knee Brace is our latest & modified model. It can be adjusted as per deformity of legs and suitable for patients suffering from osteoarthritis for more than 1 year. It is a unilateral polycentric joint Brace having angulations system for the correction of Varus & valgus deformity of the legs. It is a very good off- loader also. Paragon Mass Retail Pvt. Ltd. Recommended in prevention, maintenance, improvement & treatment of varicose veins. Also used in embolism & thrombophlebitis. Reciprocating knit heel & toe for better fit & comfort. 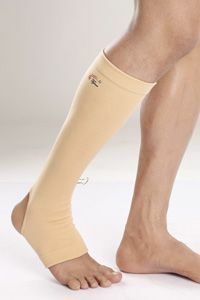 Progressive compression helps to improve blood circulation. 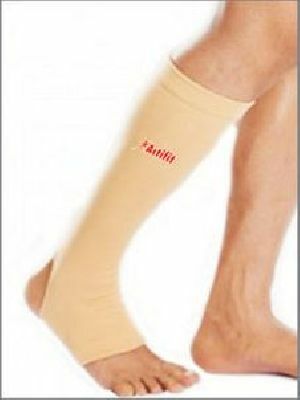 We are a trusted name as Thigh High Surgical Stockings Supplier in Gujarat, India. The BSN JobstÂ® Anti-EM/GP, Anti-embolism Thigh High Seamless Elastic Stockings that we provide are especially designed and clinically tested. 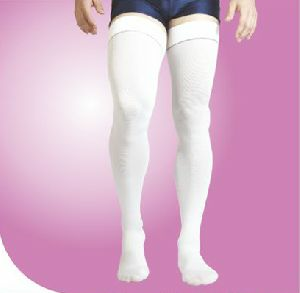 The Thigh High Surgical Stockings, offered by us, are reasonable priced and can be purchased as per requirement. Starmed Health Care Pvt. Ltd. Recommended for varicose veins, post surgery, pregnancy, in mild to moderate strains. It is provided with open toe & heel design for comfort & ventilation. 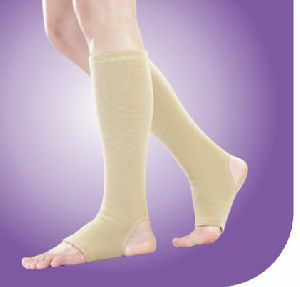 Elastic medical compression stockings Reciprocating knit heel & open toe for better fit & comfort. 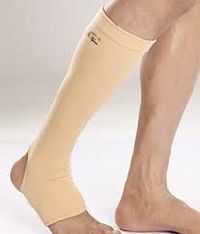 Progressive compression helps to improve blood circulation. Recommended for varicose veins, post surgery, pregnancy & in mild to moderate strains. It is provided with open toe & Closed heel design for comfort & ventilation.